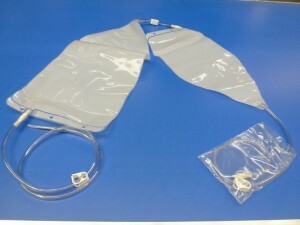 A 10 Litre EVA Bag is connected to a 5 Litre EVA Bag by 18cm PVC tube. At the inlet of 10 Litre bag is a 120cm length of PVC tube which has a six tooth click clamp on, 8G stainless steel needle and a needle cover attached. 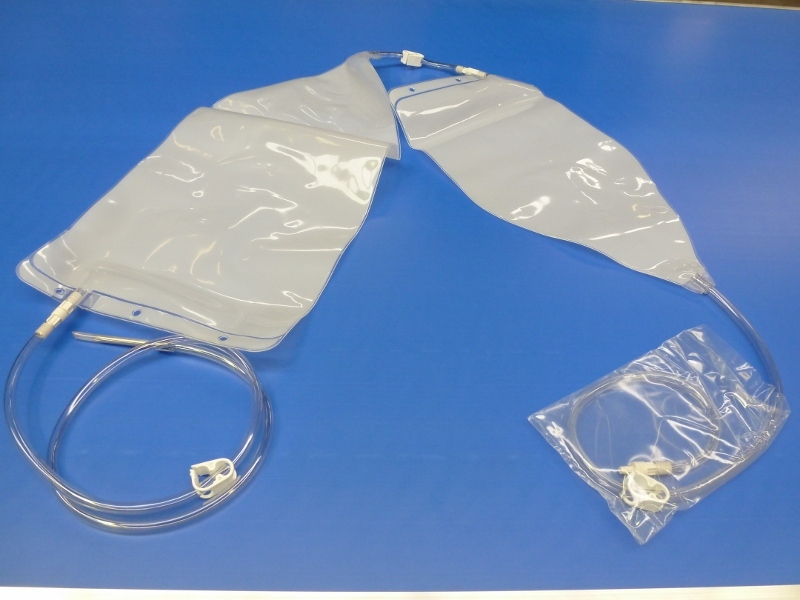 The outlet of 5 Litre bag has an 80cm length of PVC tube which is joint to a large bore female connector at the distal end. The outlet tube is terminated with a large bore male cap.